A man who preached unity over division, civility over contempt. A slew of American dignitaries gathered at the Capitol on Friday to honor the memory of Sen. John McCain, the Arizona Republican and war hero who died last weekend after succumbing to brain cancer. His life should be an inspiration to all. His dignity, honor and civility offer a model for overcoming these fractured and ill-mannered times. Sen. McCain, who endured more than five years in a North Vietnamese prison camp during the Vietnam War, had a reputation for selfless service and a no-nonsense approach to politics. He was selected as his party’s standard bearer in the 2008 presidential election, won by Barack Obama. Sen. McCain didn’t suffer fools. But he also resisted falling prey to the illness now coursing through the American body politic: He didn’t allow the political to overwhelm the personal. Disagreements were just that — disagreements, not a license to disparage, belittle and denigrate. Our current president — and many elected officials on both sides of the aisle currently serving in Washington — could learn from John McCain’s demeanor and humility. The nation would be far better for it. 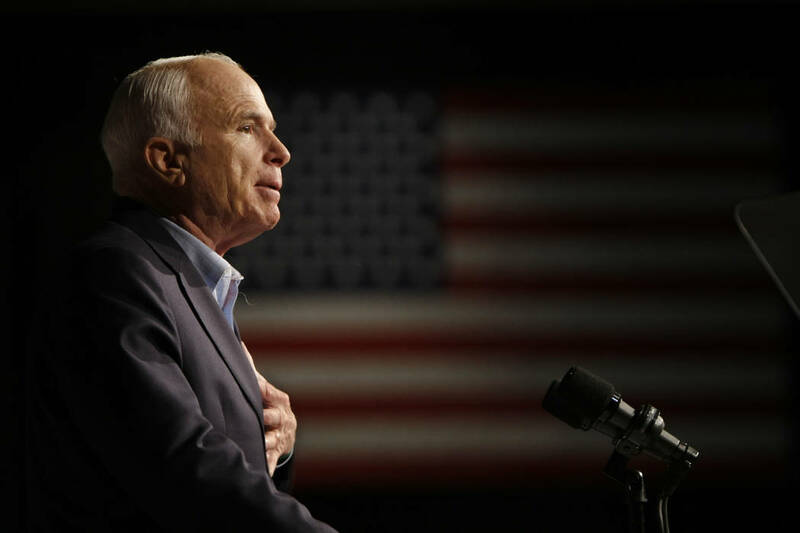 Sen. McCain exhibited a deep respect for the magnitude of the job with which he was entrusted — and a gratitude for the voters who allowed him to serve. Sen. McCain is scheduled to be buried today at the U.S. Naval Academy. The country honors and remembers a great American. A man who preached unity over division, respect over contempt. That was John McCain.